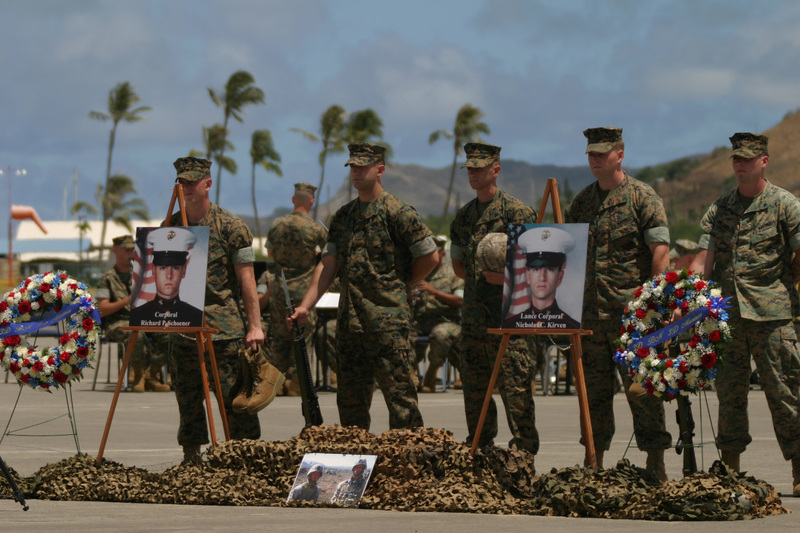 Marines stand tall behind pictures of Lance Cpl. Nicholas C. Kirven, and Cpl. Richard P. Schoener, were killed, May 8, during a firefight in Afghanistan. The Marines hold in thier hands boots, kevlars, rifles and dog tags that will be placed in a ceremonial way between the pictures in honor of them.